Joe Arpaio Vows To Go Public With "Abuse" He Suffered At The Hands Of The Obama Administration [VIDEO] - Joe.My.God. 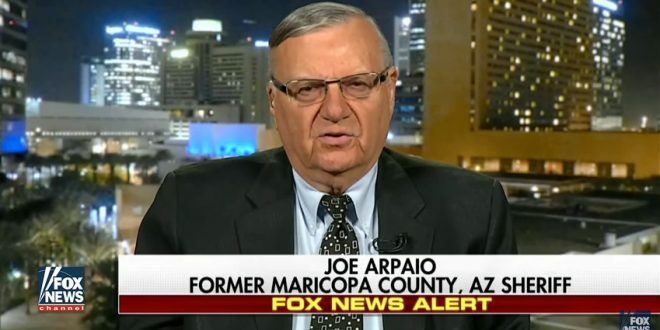 Former Maricopa County Sheriff Joe Arpaio vowed Wednesday to go public about the “abuse” he endured as a result of the Obama administration’s investigation into his law enforcement operation in southern Arizona. “This goes back to the former president — [former Attorney General] Eric Holder. Sixty days after they took office, they launched this investigation and here it is. When I was running for office, contempt of court, misdemeanor. They did it politically,” Arpaio told Fox News host Sean Hannity.